Robotics isn’t just a fun, extracurricular activity for kids; it also prepares them for a career in the growing tech industry, according to Stacy Boost, a head coach of Mt. Angel Middle School’s VEX IQ Robotics program. 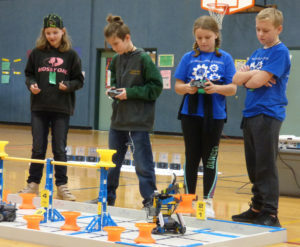 Boost, who is a sixth grade teacher in math, science and robotics, has coached robotics teams for the past 16 years – eight in Mount Angel and eight at Butte Creek Elementary. Upon her return to Mt. 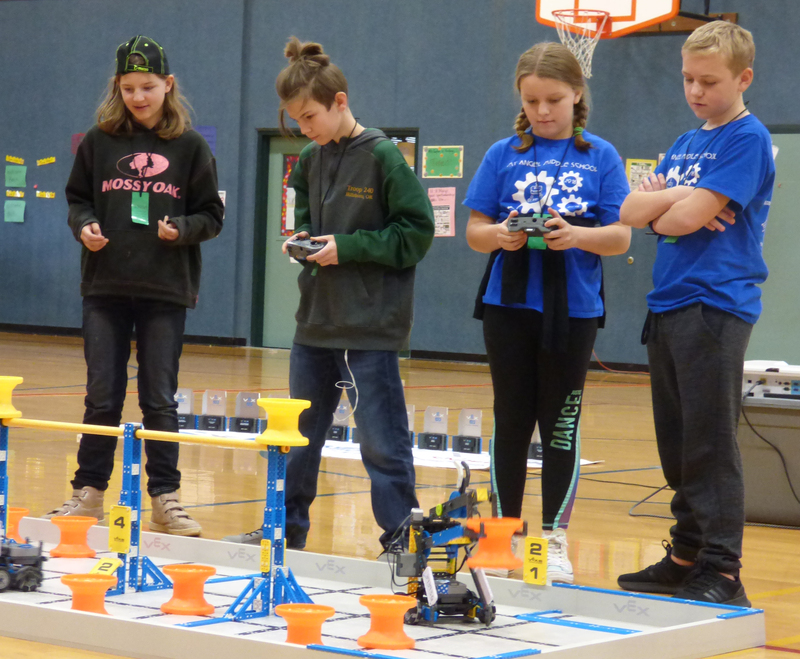 Angel Middle School this year – only blocks from her home – she has begun mentorship of the eight elementary aged VEX IQ Robotics teams and one middle school level VEX EDR team. Although winning awards is a motivating part of the program, Boost said the real rewards are in the skills the students gain. Although rewarding, organizing a robotics program the size of the one in Mt. Angel can be a challenge, both physically and financially. Boost and fellow coach Katie Iverson are always looking for volunteers and financial help. For Boost, one of the numerous benefits of the robotics program is the chance her students get to travel to competitions and meet other teams from around the world.